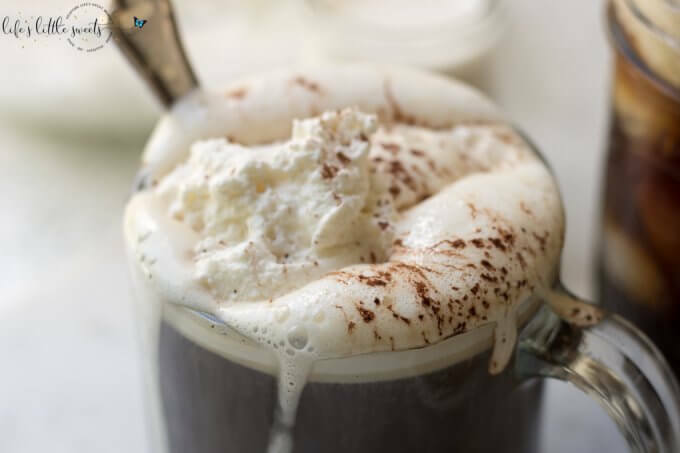 Coffee with Whipped Cream (hot and cold) is a sweet and creamy way to enjoy coffee. 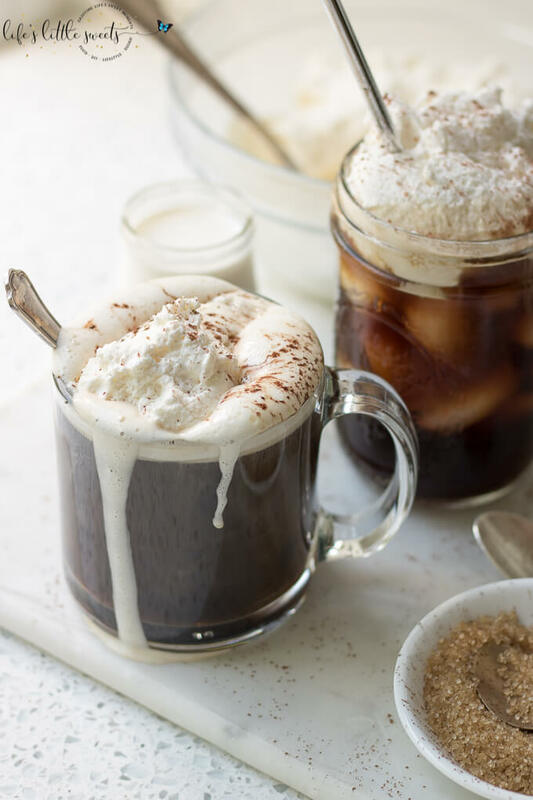 Your favorite coffee topped with fluffy, homemade vanilla whipped cream! 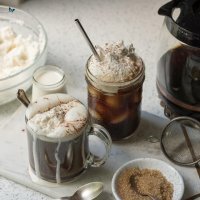 Hi Everyone, it’s time for our regular coffee post! 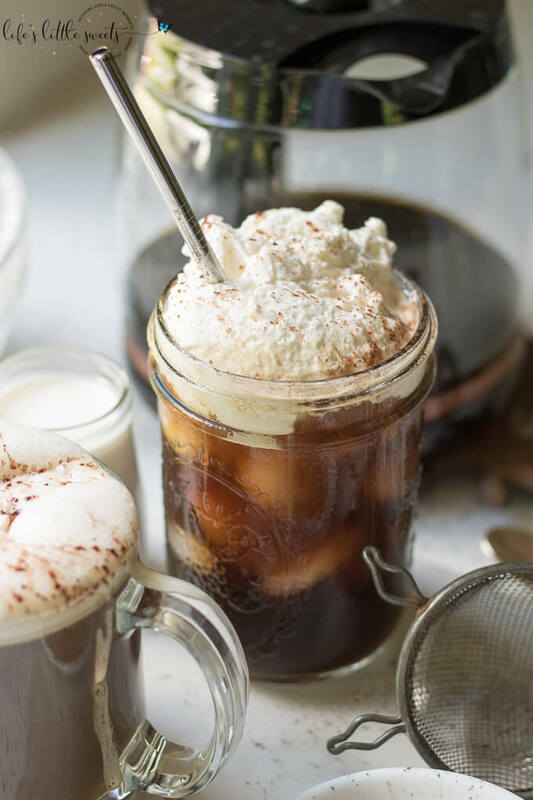 I guess that’s a thing now on this blog:) I love coffee and Coffee with Whipped Cream is one way that I love to have it especially when I have some extra whipped cream around from a dessert. 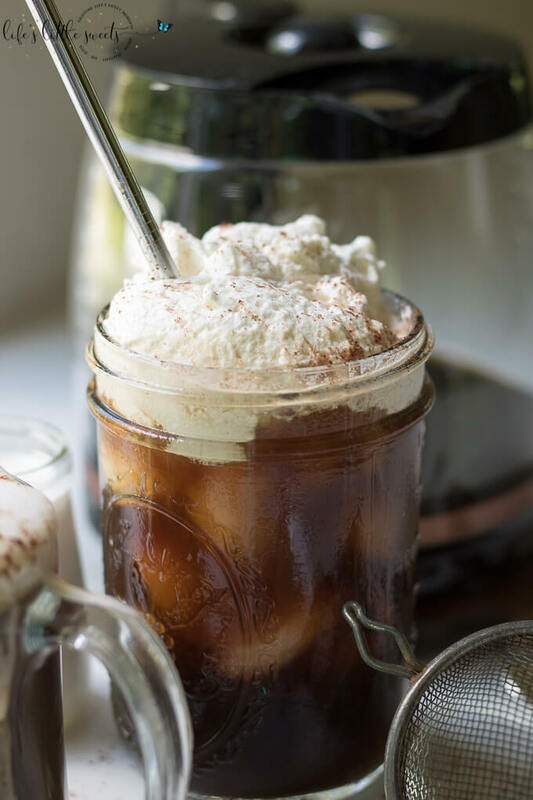 Did you see my last coffee post on Cold Brew Iced Coffee? 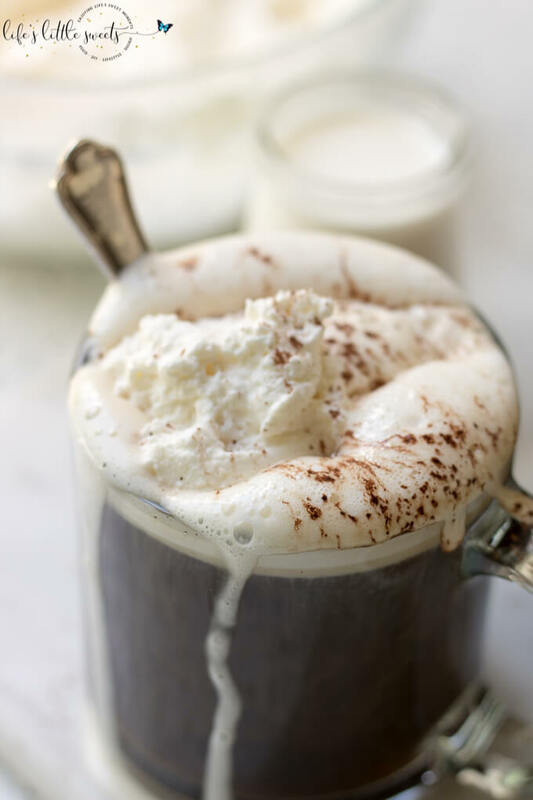 Coffee with Whipped Cream is something that I just have done for years and the great thing is it’s just as good cold as it is hot. So last night, I went to the Radiohead concert in Philly and it was UH-MAZING! I’ve always been a huge fan of them but never actually seen them in concert. It was my early adult dream come true. I found that they put on an impressive show, with a well-thought out set list playing both old and new songs (like, fake plastic trees!!! )…they were also more rock ‘n roll than I expected and by the end of the concert everyone was out of their seats and moving to the music. We also had cheese steaks and seasoned curly fries for dinner with Rosé which was awesome. So cool. 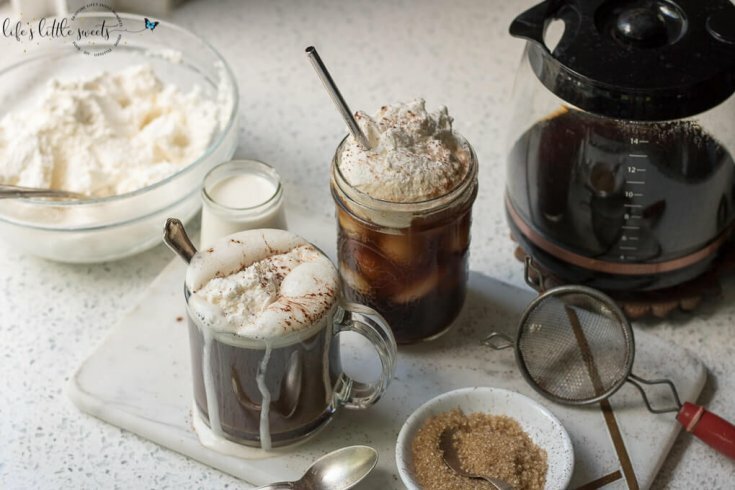 You can have it hot or cold with ice. 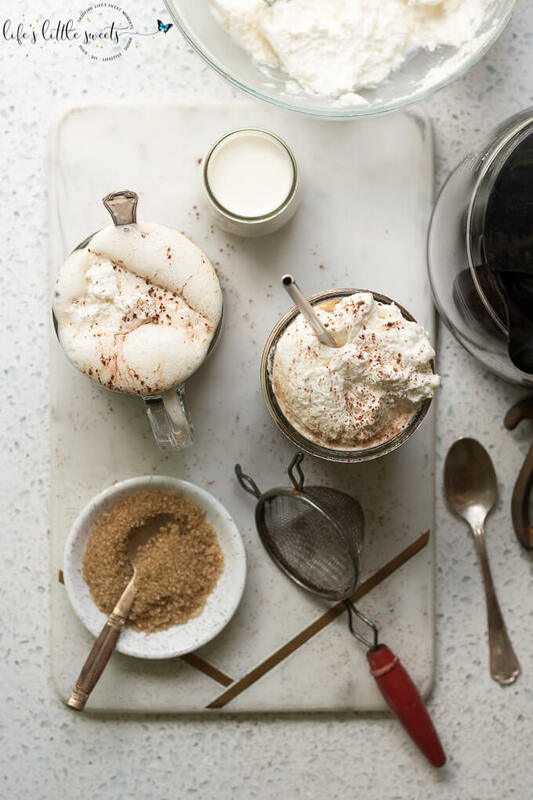 I suggest sprinkling some cinnamon, or Cocoa Cinnamon Sugar Spice Mixture or Cinnamon Sugar Mixture on top. 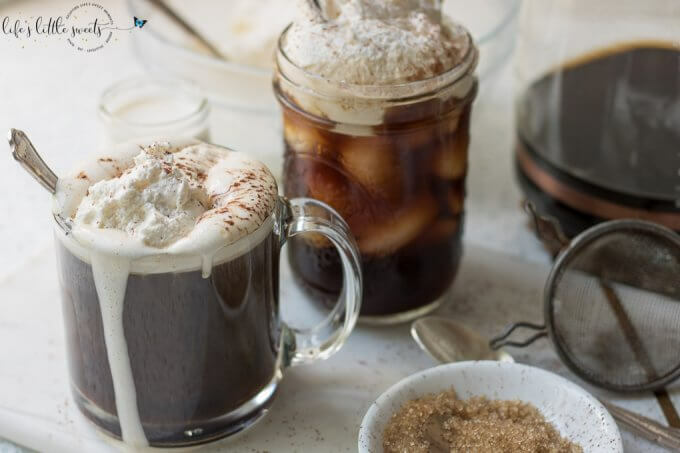 You can see all of our coffee-related posts, here. 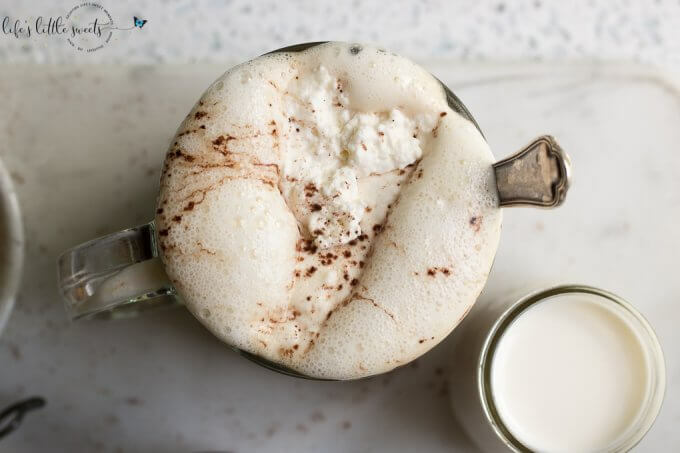 If you are entertaining, you can brew a whole pot of coffee and serve this with breakfast or brunch. 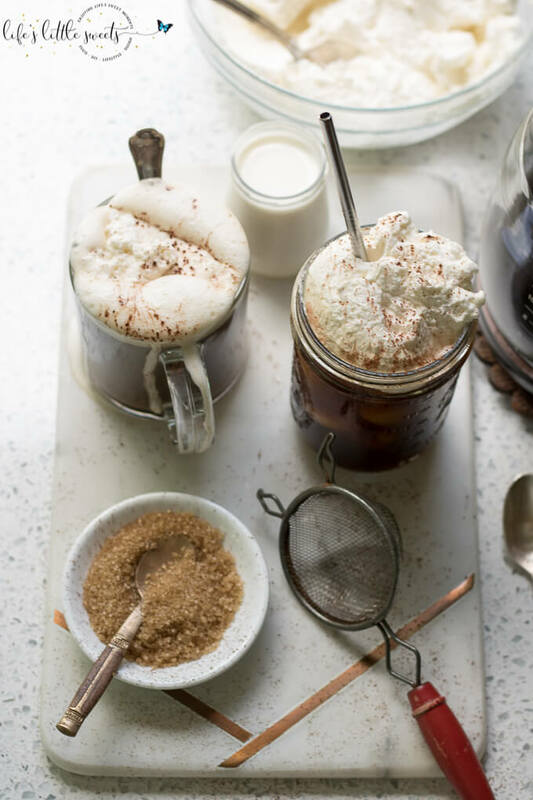 How do you like to make your regular coffee special? Let me know in the comments below! 1 recipe vanilla whipped cream, search LLS "Vanilla Whipped Cream"
Brew your coffee, chill a couple hours or overnight if making iced coffee OR you can pour your hot coffee over ice to get it to be cold quickly. 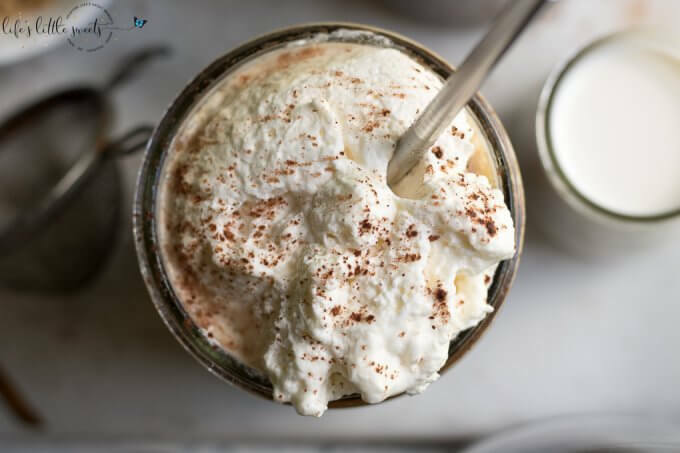 Spoon the vanilla whipped cream over the iced coffee and add a sprinkle of the cinnamon or cinnamon sugar mixture, serve and enjoy! 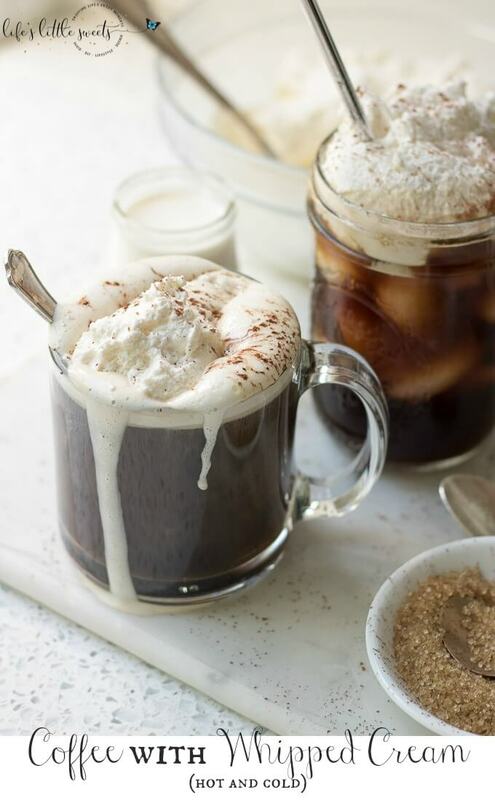 Brew coffee, pour into a heat safe coffee mug, spoon your vanilla whipped cream over the hot coffee. 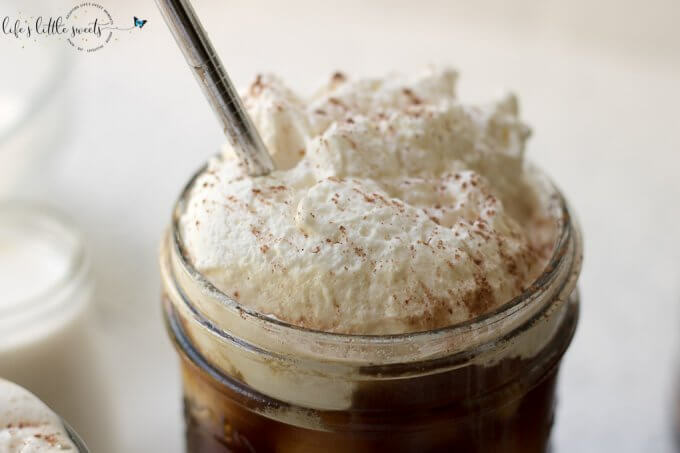 Add a sprinkle of cinnamon or a cinnamon-sugar mixture, serve and enjoy right away, enjoy!